Description: Can't get your tween to stop making musical.ly motions at the dinner table? She'll love these pajamas! 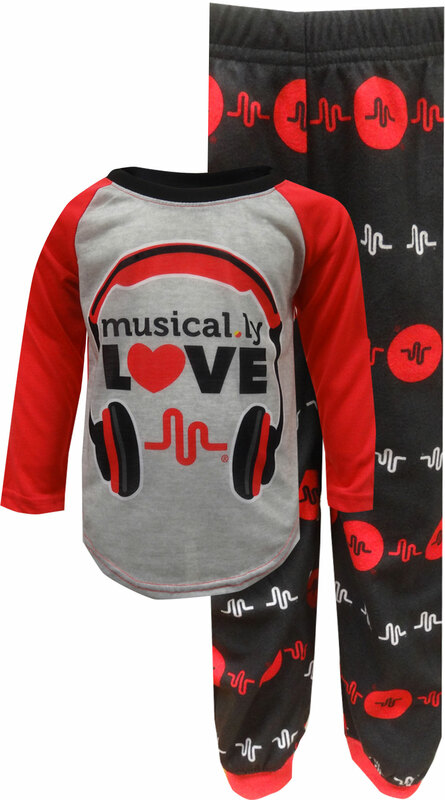 Red contrast sleeves and the musical.ly logo make these pajamas sure to please any fan. The pants have a banded bottom and are a slightly brushed fabric to make them extra warm and cozy. These jammies for girls are flame resistant fabric.